First blog post from new home and new kitchen! We're renting at the moment, but I really hope we'll have a house of our own fairly soon. How exciting!! Plus, we finally have an unfurnished flat, so we actually had to buy our own furniture... oooh, the committment!! Cream together shortening, white and brown sugars. Roll into 1 inch balls or bigger, if you want bigger biscuits. Bake in a slow oven, 300 F (150 C), for about 20 minutes, until well browned and flattened. The biscuit may still be soft when it comes out of the oven, but it will crisp up on cooling down. There is no need to flatten the dough balls before baking – they will flatten during baking. Hi MichBot, Glad you and the family made it in one piece and didn't lose anyone along the way! Epic journey. I actually prefer oats as a basis for bakery stuff and buy oatmeal loaves in preference to wheaten loaves. I was sure I'd eaten Dad's Cookies, and that they were still available, but apparently they were only sold up until the 70s (blush, but of a giveaway re age) in the UK. 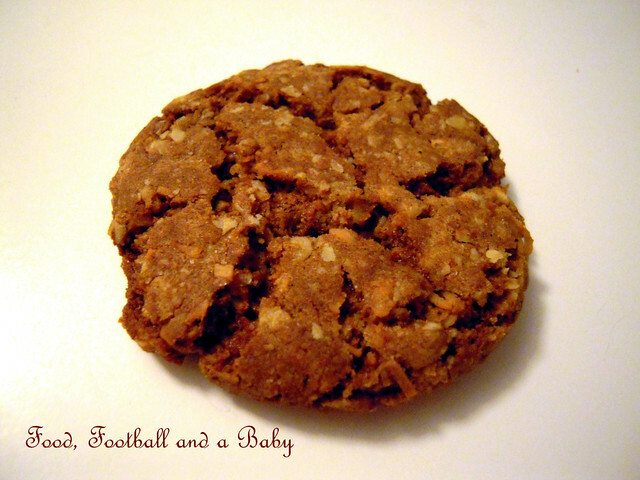 Like many oatmeal products the recipe for the Dad's Cookies originally came from Scotland! Hey Chumbles, thanks for that info. I vaguely remember my MIL saying something of the sort, as they have a bit of Ferguson blood in them somewhere :-) I love cooking with oats, have loads of recipes for oaty biscuits, will pop them all up soon. 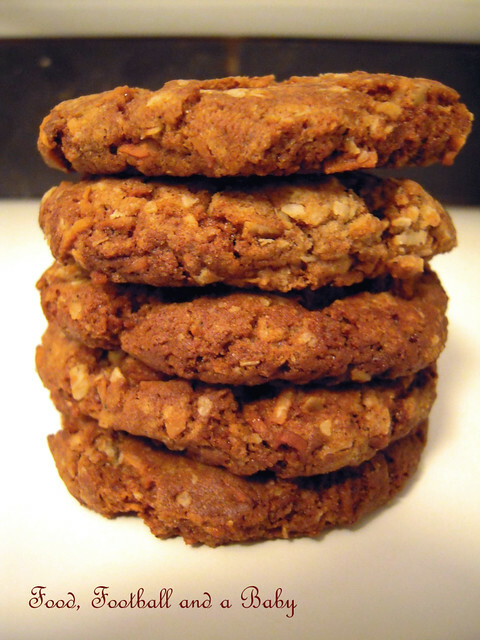 I'm rather fond of oaty biscuits - I will have to make these! Hey Meemalee, yes I am alive (barely!!) Will be back to blogging now that I am officially a housewife ? :-) Our shipped stuff is arriving this week, and I can't wait for my nice kitchen things to arrive so I can start cooking properly again. Well, Michelle, it has been really cold, for anyone 40 or less it's probably been the coldest winter in memory; the snow's been a pain, making the roads difficult to get along - in the South it's been bad, but much worse in the North and really bitterly cold in Scotland. However, not as bad as '63 where I could skate down the middle of my road for about 6 weeks (no school for that 6 weeks, either - hoorah!). Love yur space here. First timer here. The Oats and Spice biscuits are so tempting. Luv the click.